If you are a real estate agent this is the perfect marketing product. 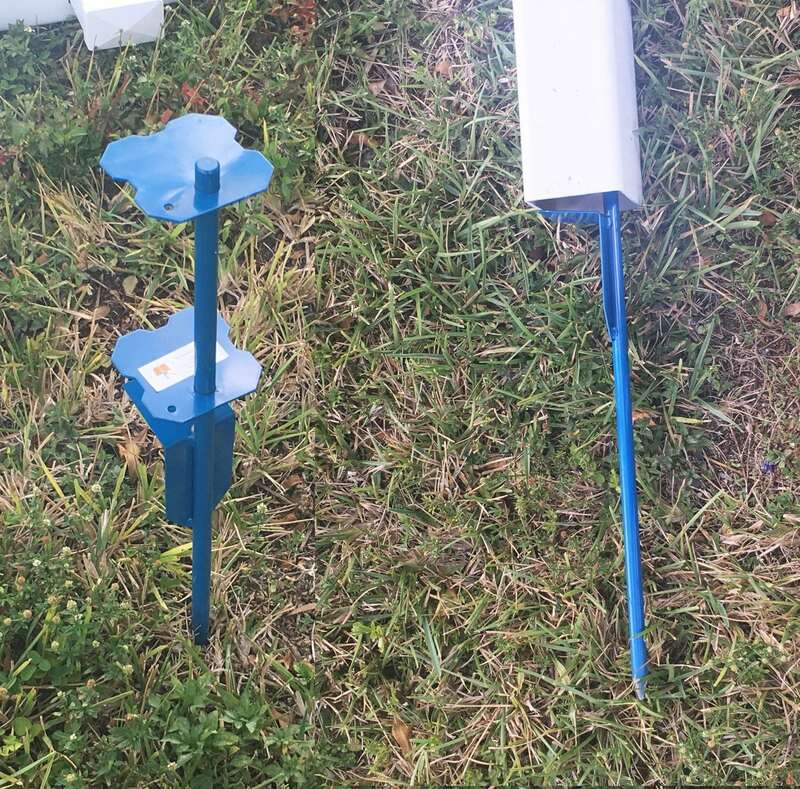 You put the sign together and use the easy installation ground stake and pound it into the ground. Every house sold has a real estate post, the difference is this one is temporary and the others require you to dig a hole. 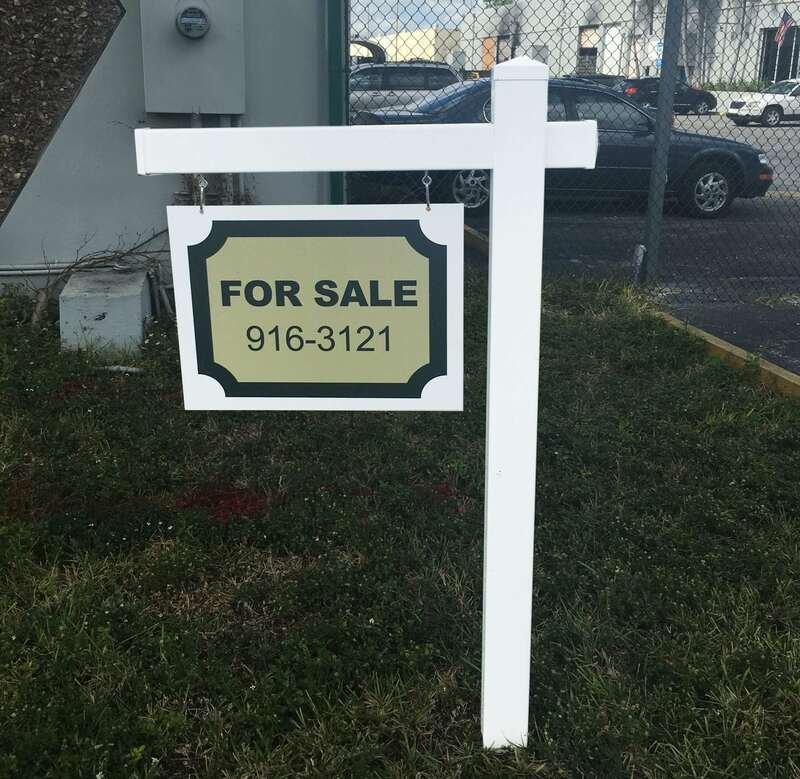 Real Estate Sign Post Frame 24×36”H, includes ground stake for easy installations. 5ft. tall with 47″ arm.